Standardized age cohorts, linear curricula divided into subjects, and learning experiences designed to impart knowledge in long-established categories, are the basic components of school-centered learning. Contrast that approach against one that places the students at its center, structures the system to build supports around them, and acknowledges the need to adapt and alter to meet the needs of all elementary, middle, and high school children. The result? An opportunity for real change to occur in education. That real change is what we’re exploring today, along with the particular set of competencies recommended in order for that change to occur in the first place. First, each learner is seen as being unique in meaningful ways. Students have unique backgrounds, circumstances, and starting points with unique strengths, challenges, interests, and aspirations. All of these unique attributes call for differing responses from their learning system. Second, each learner is seen as having unbounded potential— potential that will unfold at its own pace and in its own way. And, finally, each learner is seen as having an innate desire to learn. The job of the education system is to unleash that desire — to engaged or reengage youth in their own education. Learner-centered education is predicated on the belief that learning is a lifelong pursuit and curiosity should be nurtured throughout our lives. As a result, youth become natural and engaged participants in their own learning — gradually become owners of their own education — as they discover that an inclination towards learning is their birthright. 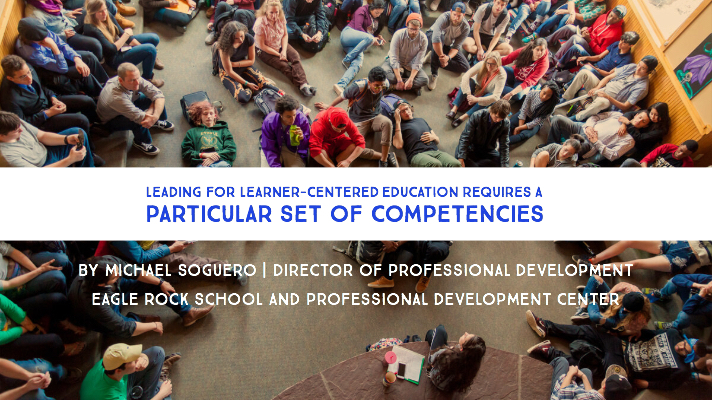 To this day, educators must search far and wide to find examples of learner-centered education, but that’s changing, thanks in part to the work of our own Professional Development Center (PDC). Here at Eagle Rock, our PDC staff travels the country to work with public school educators who are committed to making high school a more engaging experience for our country’s youth. And we have discovered that the learner-centered approach to education is something of great interest to the schools and organizations with which we work. When meeting with a school interested in learner-centered education, our approach is to surface the assets that already exist within the school’s ecosystem and then, through facilitation, engage the local expertise in a process of continuous improvement toward their vision. At the Austin Independent School District for example, we’re helping educational leaders and teachers distill competencies emerging from their work on behalf of all Austin students, all the while supporting the launch of innovation academies that incorporate learner-centered education. In Albuquerque, N.M., our professional development staff is facilitating education renewal work in collaboration with the Leadership School Network — an industry focused network of schools that engage students through project-based learning. This ensures each student graduates with the skillset needed to be successful in current and future workforces. While many other examples of projects focused on learner centered education exist, we’d be remiss if we didn’t mention our own high school — Eagle Rock School in Estes Park, Colo., which implements highly effective and engaging practices that foster each student’s unique potential and helps them use their minds well. Everything we do at Eagle Rock is viewed through a learner-centered lens. From the curriculum and the individual classes that we offer, to what time the students eat lunch and who prepares the meals — everything we do at Eagle Rock is influenced by our students being viewed by our board, administrators, instructional specialists, and staff as being unique in meaningful ways. This all returns to the edict that each student is deserving of the opportunity to be actively engaged in his or her own education. For a complete and up-to-date rundown of our Professional Development Center’s work in the area of learner-centered education, please read the Professional Development Center updates here on the Eagle Rock blog. Presented once every trimester in a bullet list format, these updates are the best way to find details about the many learner-center-related engagements we’re involved in at any given time. 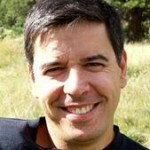 An approach to change management: Change management refers to how you manage for change. At Eagle Rock, we deploy a user-centered, design-thinking, iterative approach to change management, as opposed to most schools that still follow the master builder approach. That approach is a one- to five-year master plan that’s fronted by one individual who designs everything and calls all the shots. (For more on the inadequacy of the Master Builder Approach, I recommend listening to or reading Atul Gawande’s 2010 interview with Harvard Business Review’s Katherine Bell. Gawande is the Cynthia and John F. Fish Distinguished Chair in Surgery at Brigham and Women’s Hospital in Boston, Mass., and author of four New York Times Bestsellers, including The Checklist Manifesto.) By taking an iterative approach — one that reinforces the notion that in order to end up with the best possible solution, you need to refine your thinking along the way — we remain agile and open to possibilities we never knew existed when we first started on this journey to change. A willingness to take a stance: By starting with a vision of what you want, as opposed to modifying a traditional or existing system, you place yourself in the role of a protector — a leader who consistently embodies the stance and protects the approach to getting there. Why is this so important to the process of leading for learner-centered education? Because the moment things become difficult, the default is likely to drift back to the familiar, traditional practices. Somebody (the leader especially) has to protect the initiatives — and that happens as a result of committing to, communicating about, and taking a particular stance. The ability and willingness to enroll others: Notice above that we recommend communicating your stance to others. That’s because if the people around you have no idea what you’re up to, they’re likely to do one of two things: not trust you (either because they’re confused as to your motives and it’s easier for them to not trust you than to ask for clarification), or treat you from a leadership perspective as they always have, which may not work to the desired outcome’s advantage. By enrolling others in the opportunity that you see — so they are touched, moved, and inspired by the vision — you help others see what’s possible for young people. Here, you’ll want to be sure to tell the stories and share the data associated with learner-centered education. Leave nothing to chance! Authenticity: The final key competency for implementing learner-centered education is authenticity — a willingness to be consistent with how difficult change will be. By not shying away from the difficulty of change, and by always telling the truth, you not only prepare the people on your team for what’s to come, but you maintain a level of integrity for which you can always be proud. Transitioning from a school-centered system to one that’s learner centered isn’t easy, especially if your first thought is the work is nothing more than a shift that simply has to ‘deal with’ all the things inherited from the existing approach. Said differently, if leaders engage in a learner-centered project as primarily about dealing with something they inherited from the traditional administrative system, the endeavor will always be contaminated by some traditional adult-centered thinking. If instead, the project is envisioned as making a clean break (i.e., we are learner centered now and from here on out, and look, we are now operating in this space), the way you look at things is now looked at through a learner-centered paradigm rather than one that’s traditional. In short, the mindset has to shift. Adopt a new mindset rather than think of oneself as always being in a process of shifting. Shifting or transitioning still has a nasty habit of inserting the past. 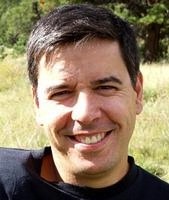 About the Author: Michael Soguero is the director of professional development at Eagle Rock School and Professional Development Center in Estes Park, Colo. There, he is responsible for developing approaches that positively affects public education throughout the United States. 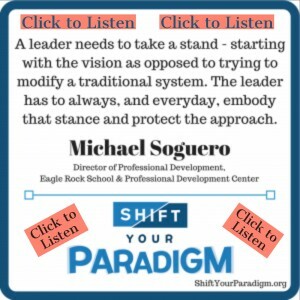 For more of Michael’s thoughts on learner-centered education, please listen to Episode 32 (June 5, 2018) of the Shift Your Paradigm Podcast. This entry was posted in Eagle Rock Recommends and tagged Atul Gawande, Change Management, Convergence Center for Policy Resolution, Education Reimagined, Learner Centered-Education, Michael Soguero, Shift Your Paradigm Podcast.